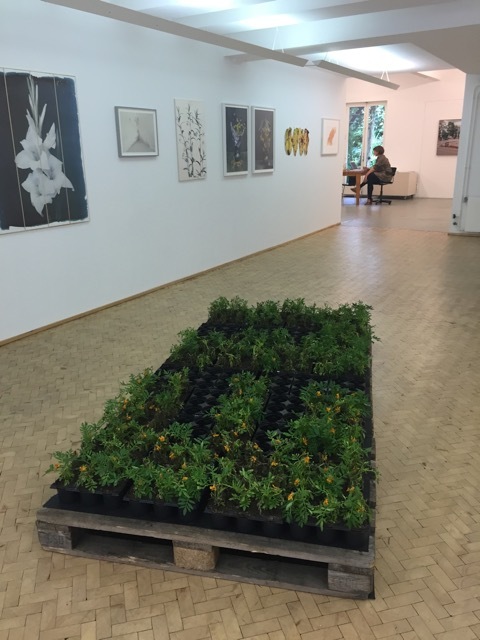 In the context of the group exhibition “Let it Blossom” at gallery Rento Brattinga Amsterdam: installation with marigolds. The Dutch name for this plant is Afrikaantjes, Africans. The installation is a critical reference to the circumstances of the African refugees within the EU. 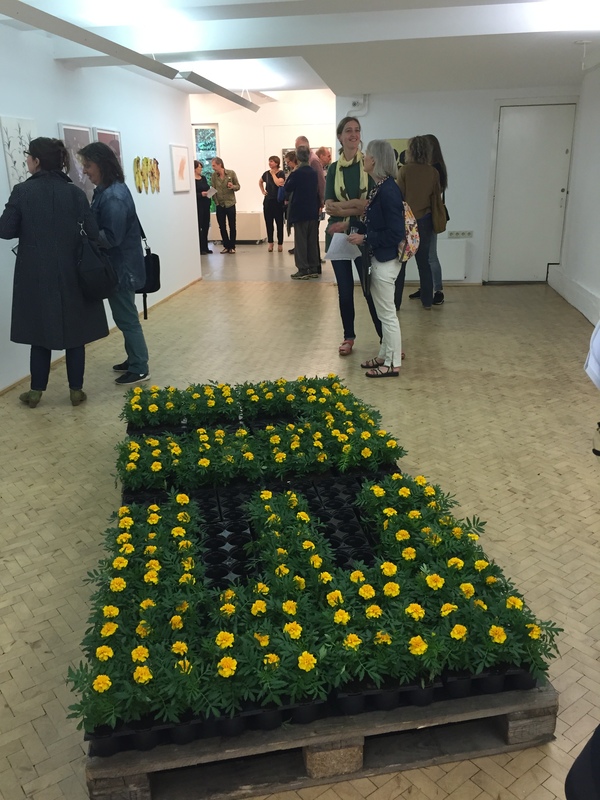 The conditions in the gallery define the lifetime of the Marigolds. Due to lack of sufficient sunlight and too little soil and water the plants did not maintain.